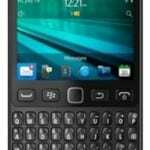 Going back to the days of the Blackberry smartphone without the physicql keyboard plus a bit of the modern way of doing things births the Blackberry Evolve. 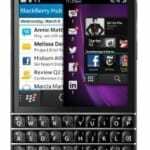 Featuring an all screen fascia surrounded by the normal.bezels in a nice typical Blackberry style. 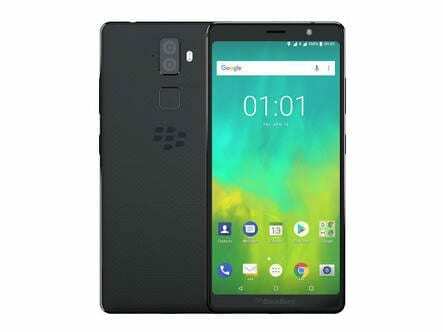 Opting on the large display wagon, the BlackBerry Evolve has quite a display real estate on it Besides, what the smartphone offers is the latest Blackberry experience on a smartphone without the qwerty keyboard. 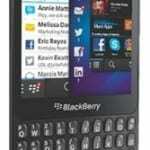 However, the specs on the smartphone are not that great you would have to have a look at the Blackberry Evolve X. The Blackberry Evolve looks like a smartphone from before and it is so because it maintains a similar kind of build Blackberry used years ago. There is a matte finish at the back and the smartphone is predominantly made of polycarbonate materials. In fact, the smartphone looks a bit inferior to other smartphones in its price segment. It has a central vertically arranged dual camera with a flash beside it and a fingerprint scanner directly below. Space for visual on the smartphone extends to 5.99-inches of the smartphone surface and not with the trending bezel slimming either. Although, it is an LCD display contrast on the smartphone is fair enough with a decent colour accuracy. The pixel density is 402 ppi and with a resolution of 1080 X 2160 pixels. The battery size on the smartphone is ample which means a till the ending the day use. An intense use of the phone can cut that down dramatically due to the fact that how long the 4, 000mAh battery will last is subject to use. It also features Quick Charge 3.0 to refill your battery fast than the conventional charging method. You could count on the Blackberry Evolve to take pretty good pictures when lighting is favourable but not so much when it is otherwise. The duo at the back is a pair of 13MP cameras while the one positioned at the front is a 16MP selfie camera. There Is going to be some difficulty selling the smartphone with the quality of chipset inside. When you check the cost of the smartphone, the Qualcomm Snapdragon 450 SoC with Adreno 506 GPU is definitely not the best of choice. That said, the smartphone will also be shipping with a 4GB RAM and a 64GB internal storage expandable to 256GB. Blackberry offers the Android 8.1 Oreo on the smartphone with some useful addition by them. 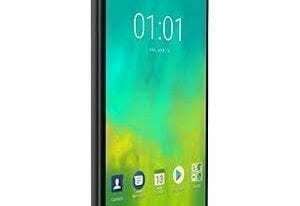 The smartphone will sell for about 125, 000 Naira in various phone sales outlets when it goes on sale come October.